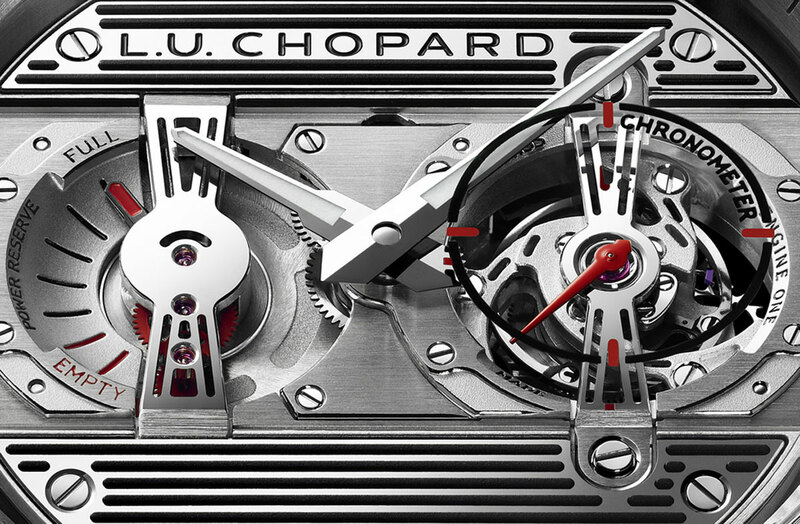 In 2010, Chopard has unveiled its vertically configured model LUC Engine One Tourbillon. 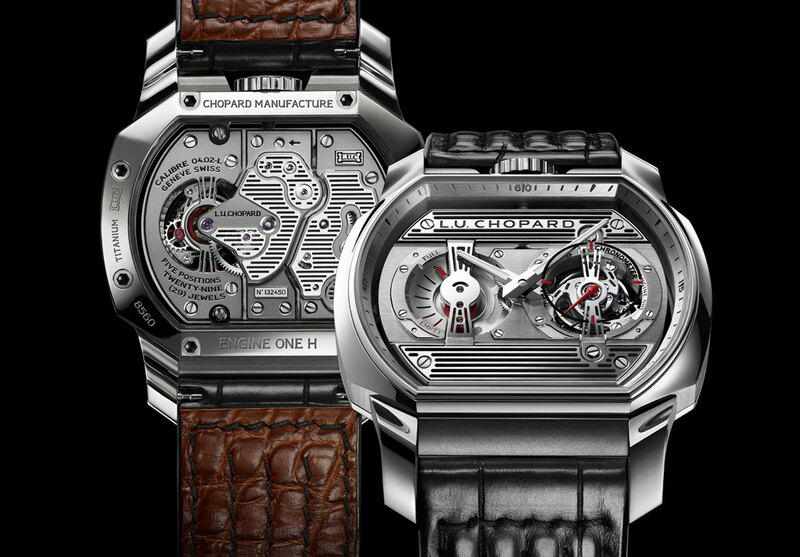 At this year’s Baselworld fair, the company plans to introduce a new model of horizontally configured, the LUC Engine One H.
The mechanism that drives this clock is caliber LUC 04.02-L, which is practically the same as its predecessor, horizontally mounted in the casing. Although quite astoundingly designed, like nothing we’ve ever seen until now, it is inspired and shaped to resemble an engine. Power reserve on this model is easily visible as its predecessor, and with the “Full” and “Empty” makes clear that this model is inspired by cars. The case is titanium and the dimensions are 44.5mm x 35mm. 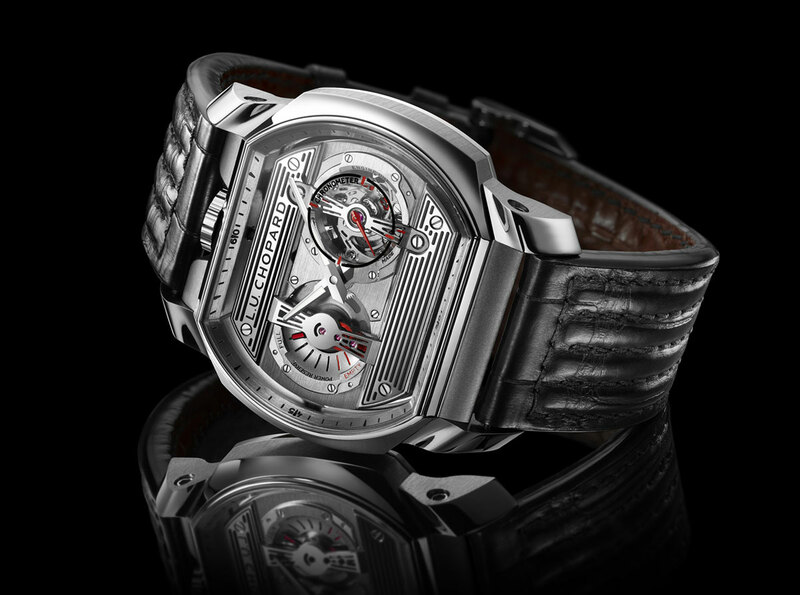 The new Chopard L.U.C. 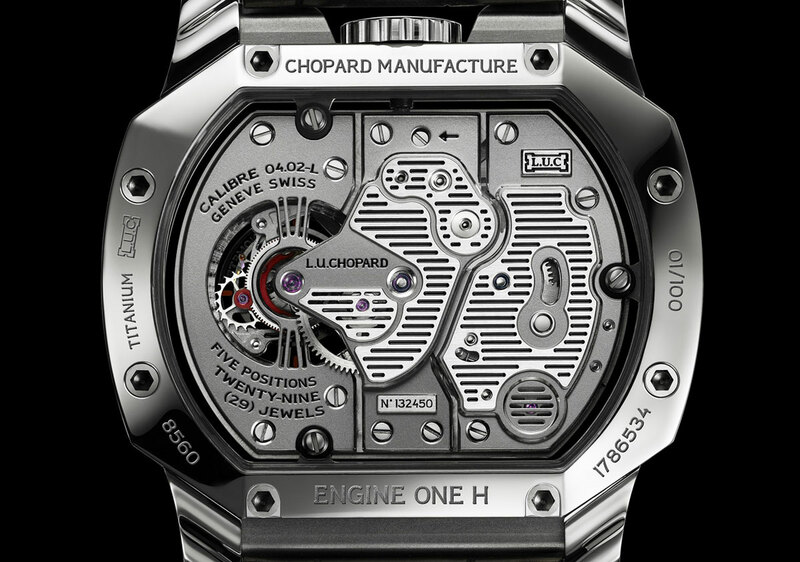 H One engine H has been improved over its predecessor in several ways, without modifying the clock basis. The watch will be produced in limited edition of 100 copies, and for the other details we are left to wait for the official launch.